Future Tense Books, 9781892061423, 168pp. Literary Nonfiction. LEGS GET LED ASTRAY is a provocative collection of essays that vividly rockets the reader through one young woman's life. 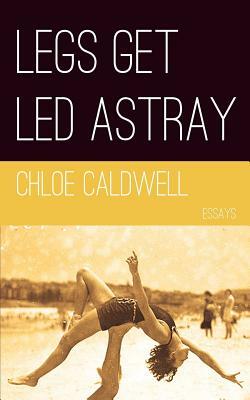 Chloe Caldwell beautifully and bluntly escorts you through her childhood dreams, her first loves, her most unguarded sexual exploits, bookstore crushes, babysitting jobs, heartbroken wanderlust, and the suicide of a lost lover. Caldwell's writing remarkably explores the genre of personal nonfiction and has been featured in The Rumpus, The Faster Times, and Mr. Beller's Neighborhood, The Nervous Breakdown, and Everyday Genius. "Prepare to shed skin. Chloe Caldwell's essays will dare you to dissect your own life. Shot-through with sexuality and sass, her language will get up in you and turn you inside out in the best possible way." Lidia Yuknavitch.